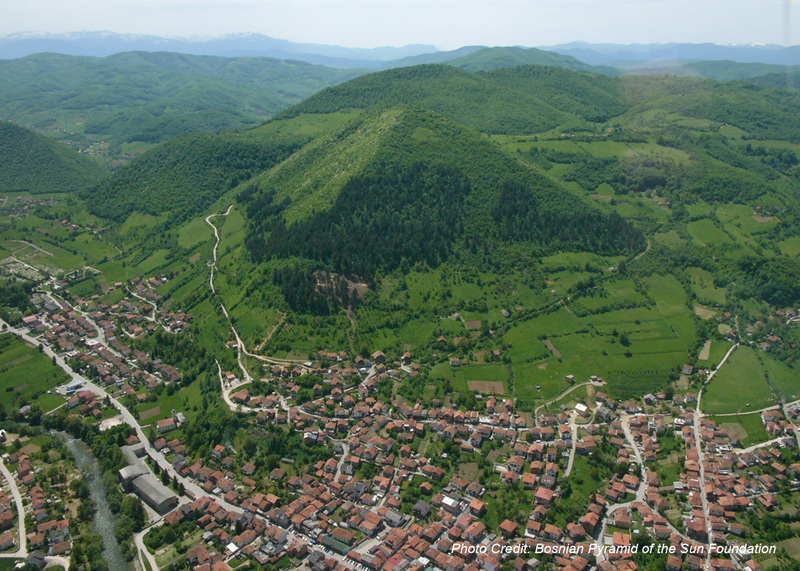 Listen to Esther Bartkiw interview Dr. Semir Osmanagich discoverer of the Bosnian Pyramids. Update with the latest news from Visoko. Have you ever experienced the profound energy of pyramids? Pyramids across the globe are known in spiritual circles to be places of intense and profound healing energies which also enhance your connectivity to Universe, your True Self and Personal Power. Pyramids are vortexes of potent energy! When you combine these geometric amplifiers with meditations, activations and inner work, you increase and accelerate change and transformation in your life. Join Esther Bartkiw as she guides you to an even deeper energetic and spiritual connection with the Bosnian Pyramids to ramp up your ascension process and speed of inner transformation. If you have never worked with Pyramid Energy or the Bosnian Pyramids, then Now is the time to harness these powerful energies and accelerate your process of Ascension. And if you have connected with the Bosnian Pyramids this Program will expand your experience with the Pyramid Energy. These Pyramids are alive, vibrant, full of energy. Ancient but young in their discovery. Fully activated, accessible and available to everyone in the physical and on the energetic plain. Believed to be the oldest Pyramids on the planet they hold incredible ancient wisdom, light codes and healing properties. They include the Pyramids of the Sun, Moon, Love, Dragon and are believed to be connected by a labyrinth of underground tunnels running under the Visoko Valley of the Pyramids called Ravne. The Bosnian Pyramid of the Sun is the largest and oldest documented pyramid in the World. Radiocarbon dating of the material has given a minimum age for the structure of 29,200 years. That is older than the Pyramids of Egypt and Mexico. The Pyramid of the Sun is also one third taller than the Pyramid of Giza. Esther will introduce you to the energies of the Bosnian Pyramids and take you through an energy process to help you sync up with and get familiar with their frequencies. You will discover that each Pyramid has its own special vibration and integrated together they create another unique frequency. Plus you will learn how natural and easy it is to work with their energies. So easy that within a very short time, all you will do is call upon them and the Bosnian Pyramid energies will be with you. Pyramid energy holds healing properties and the Bosnian Pyramids young in discovery and ancient in years are Alive and teaming with vibrations and frequencies to create vitality and well being in your body. You don’t have to visit the Pyramids in person to experience the benefits. Learn what it is about the Bosnian Pyramids that stimulates the life force within and how you can use the energies to move towards better health and wholeness physically, emotionally and mentally. I will take you through an energy exercise to connect you with the healing vibes of the Pyramids and Ravne Tunnels. As a Bonus you will receive a silent frequency recording of the energies of the Ravne Tunnels to boost you to optimal health and well being. You will learn what is your Light Body and what is happening to it during our Ascension Process. Discover how the Bosnian Pyramid energies can assist you in expanding and enhancing your Light Body instantly. I will guide you through a process working with the energies and sacred geometry of the Pyramid to Light up your Light Body to the next level of your experience. On Day Four, we get personal. We all have dreams and desires that we want to manifest during this lifetime. Can the Bosnian Pyramids help? Absolutely they can. During this class pick one dream you would like to fulfill and we will work with the energies of the Bosnian Pyramids to set it into motion with full intention of manifestation. Equipped with the recording of this class you will be able to take yourself through the process again and again addressing different wishes and dreams. On Day Five, our attention turns to Spiritual Gifts. Do you have any? If so what are they? Are Spiritual Gifts only for “Special People?” Learn how to discover, activate and enhance your Spiritual Gifts using the power of the Pyramids. The energy exercise provided will assist you in further activation of your Pineal Gland, Third Eye and those gifts which are your unique and special magic. 1) Five Self-paced, downloadable, multimedia classes so you can learn at your pace. Join Us and Experience the Energy of The Bosnian Pyramids! Prepare to accelerate your inner transformation, open up your gifts, and manifest your dreams… with the energy of the Bosnian Pyramids! Studies show that working with Pyramid energy increases theta and alpha brain waves, expands consciousness, and stimulates a greater opening of the Pineal and Pituitary Glands. Many people report their psychic abilities are greatly enhanced working with Pyramid Energy. Over the past 12 + years, Esther Bartkiw has been a Beacon of Light to those on a Conscious Journey of Ascension. Reminding us that we are Love and Light and inspiring us to live life as the Divine Beings we are. Esther is extremely intuitive and has been lauded for her extraordinary ability to zero in on the core issue of your problem or situation and guide you to a new connection with your parts and aspects, bringing all into harmony and oneness. Along the way Esther helps to transmute fear, open to all possibilities and gain freedom to live the life of our dreams on our terms. People experience change through her Unique Light and Energy Signature, powerful healing sessions, teachings, sacred spirit journeys, presence, voice and love vibration. Returning you to the Love that you are. After waking up to the awareness that not only did she not love herself, she didn’t even like herself, Esther embarked on a journey of falling in love with Self and knowing Self as Love which continues to deepen and blossom every day. Esther is a featured guest on Tele-summits including From Heartache to Joy, You Wealth Revolution, You Awakening and Quantum Conversations. She has appeared on The CBC’s Steven and Chris Show, Gail Vaz-Oxlade Talk Radio, The Best People We Know Radio Show. Esther is featured in the book Women Power highlighted as a powerful and inspirational woman of influence. And is spotlighted in the documentary One Red Lipstick inspiring women entrepreneurs everywhere. Esther Bartkiw and the Energy of the Bosnian Pyramids Await You! Esther is committed to delivering to you the highest vibration methods, processes, activations, readings, seminars for your journey of change and transformation. Once a product/service has been purchased there are no refunds. Any health, nutritional or fitness information offering during readings or sessions is for educational purposes only. It is not a substitute nor does it replace professional medical advice of any kind. If you have concerns about your physical or mental health consult with a physician or health care professional. Do not avoid, delay or disregard seeking out medical or health advice from a health care profession because of something you may have read, received or learned from this site, private or group sessions/readings. Any health , nutritional or fitness information provided on this site or during sessions with Esther should be undertaken under your own discretion and risk. We do our best to ensure that you get the greatest value possible for your money. All recordings are infused throughout all time space and reality with the energy so they are just as effective and potent on replay as during the Live Event.